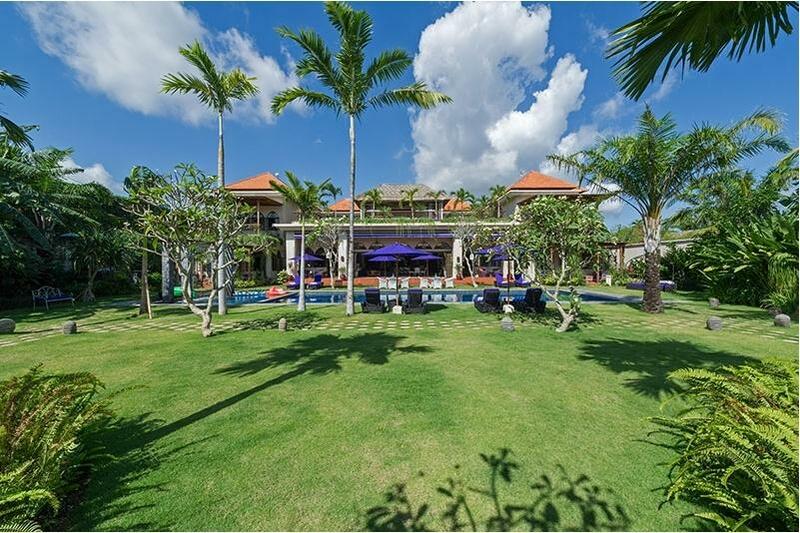 Lush tropical gardens resplendent with coconut palms and scented frangipanis make this six-bedroom luxury villa located in the heart of stylish Seminyak, on Bali’s south-west coast, unmistakably Balinese. Yet the beguiling Moroccan-inspired interiors and architecture blended with the French owners’ sense of panache and style, transports guests into the pages of a spellbinding ‘Tale of The Arabian Nights’. 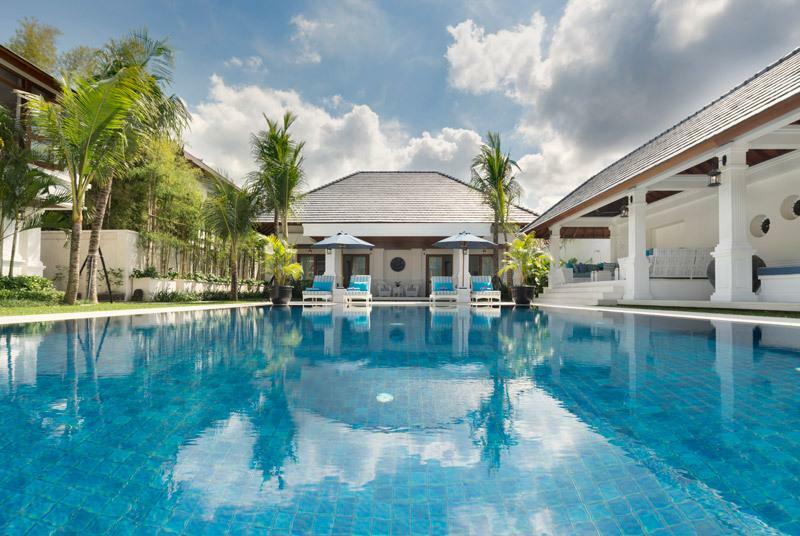 The villa provides the picture-perfect setting for sophisticated gatherings around the 20-metre swimming pool, elegant moonlit dinners or fabulously chic rooftop parties, whilst also providing wonderfully intimate spaces for private repose and relaxation. The French owners have sourced only the finest materials and furnishings from around the globe to ensure that every single piece of furniture and building material, is quite simply the best available. 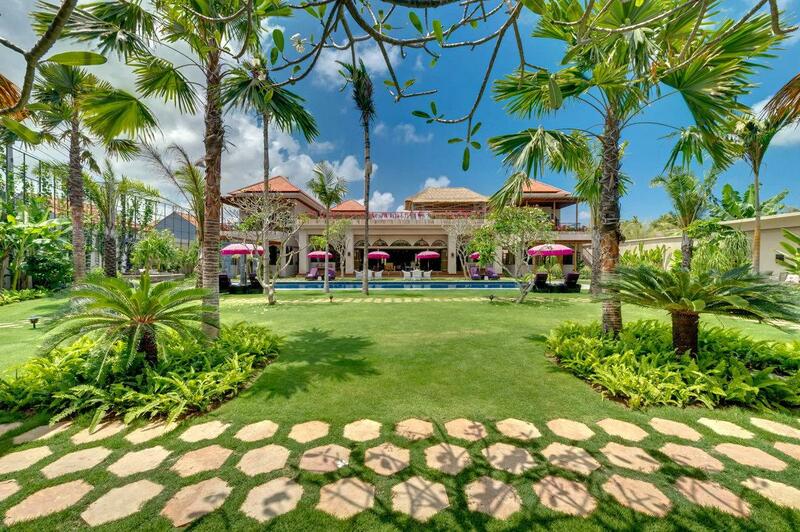 It is this meticulous attention to detail that makes the villa stand out from the rest to be one of the most sought after villas on the island. 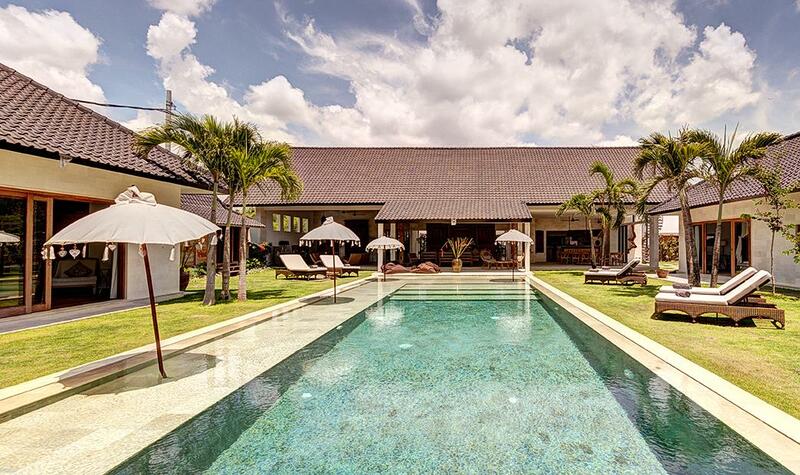 Villa has a perfect sense of scale, large enough to be majestic yet offering intimate and comfortable spaces for relaxation and contemplation. 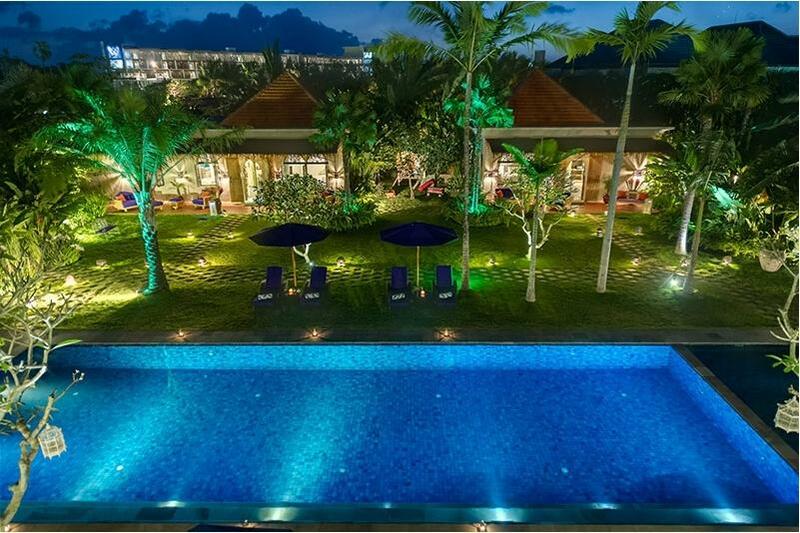 Enjoy a delicious meal illuminated by the warm glow of the chandeliers or watch a famous Balinese sunset on the rooftop surrounded by the perfectly landscaped tropical garden. 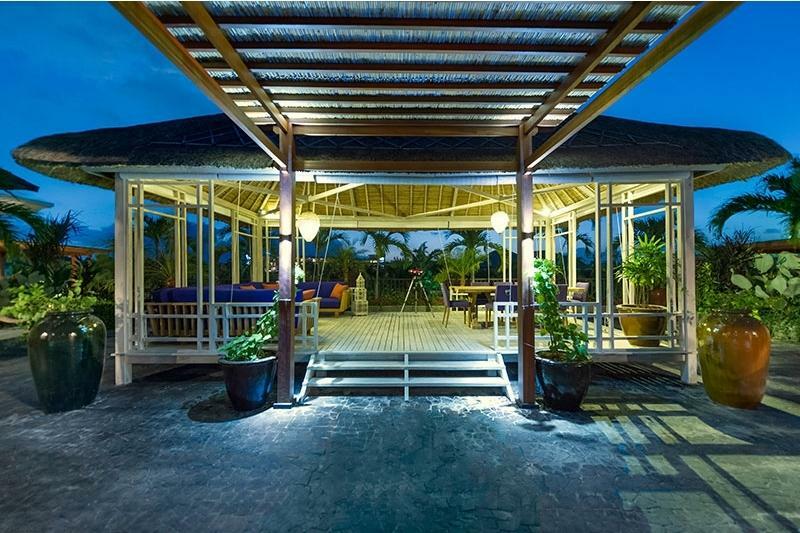 During the balmy days, luxuriate on the lounge chairs under ample umbrellas and watch the children play in the custom-made cubby house or the specially designed kids’ splash pool. 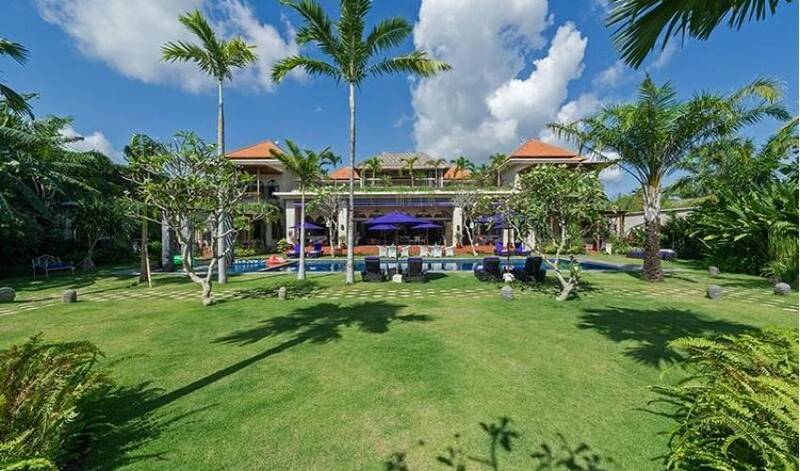 The villa provides and oasis of luxury and glamour and it is hard to believe that it is just a minute away from some of the best restaurants, shopping and nightlife that Bali has to offer (walking distance to W- Hotel). 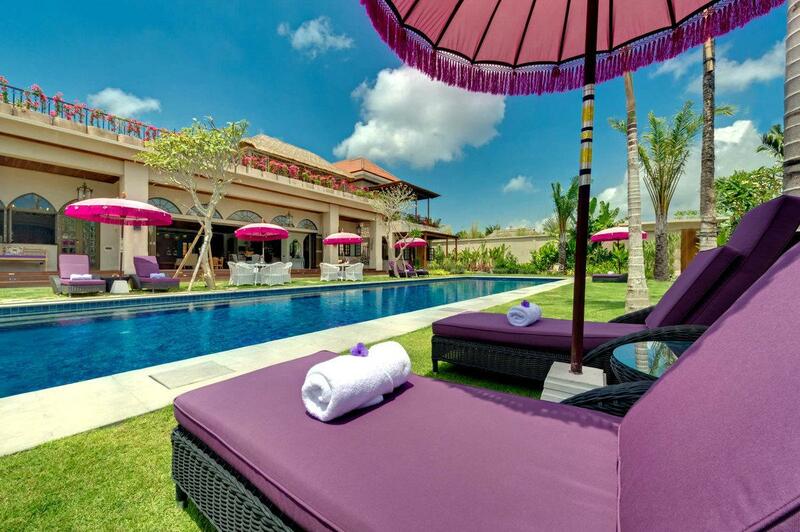 The warm and friendly staff are dedicated to ensuring the villa is true to its name. Discreetly and efficiently, they attend to guests every need ensuring their stay is one that is, indeed, filled with ‘sweet love’. 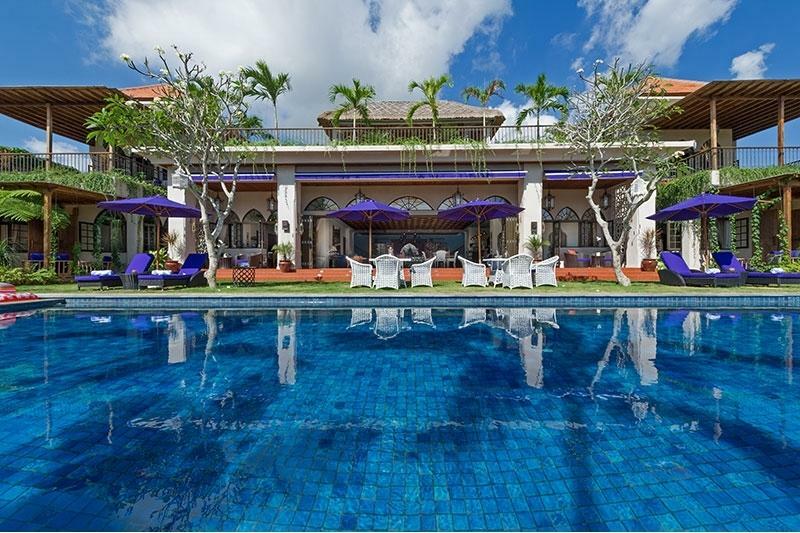 Blue and white Moroccan-style tiles adorn the floor, while baroque upholstered armchairs and ornate hurricane lamps and chandeliers bring an exotic vibrancy and glamour to the living area that forms the social hub of this truly superb villa. French doors open the length of the room making it deliciously light filled and airy, allowing spectacular views over the glistening aqua swimming pool and verdant garden. As befitting with a villa of this quality, the villa also boasts a well-equipped entertainment room and a huge gourmet kitchen. 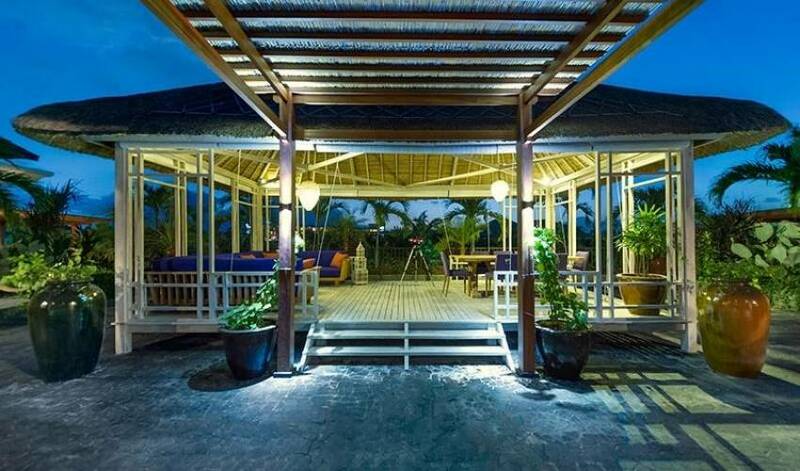 Day or night, when it comes to relaxing outdoors at the villa, guests are literally spoilt for choice. 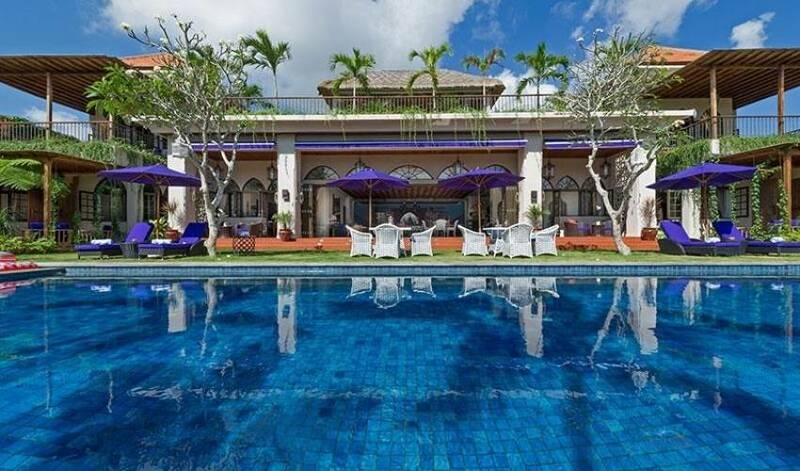 With the huge main pool as the central feature, guests can enjoy relaxed poolside dining, with seating for 8 people. Similarly, there are ample deck chairs with umbrellas for those wishing to enjoy some sun and maybe sip on a cocktail or two. The main pool has been modified to include a shallow area for the little ones at one end (30cm depth), as well as a stunning waterfall feature which is sure to keep them amused. Nestled in a secluded corner away from the pool area, is a romantic covered daybed, sitting under a beautifully scented Frangipani tree. 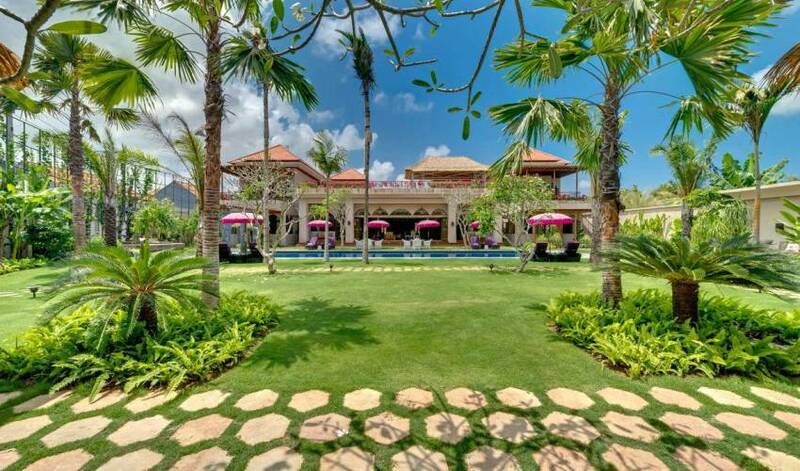 The Villas’ spectacular Tropical rooftop garden area has been immaculately landscaped, and is the ideal place to catch those balmy Bali breezes. Whether it be a ‘ high-tea’ under the gazebo, or cocktails and canapes under the stars – this outdoor space is sheer perfection. 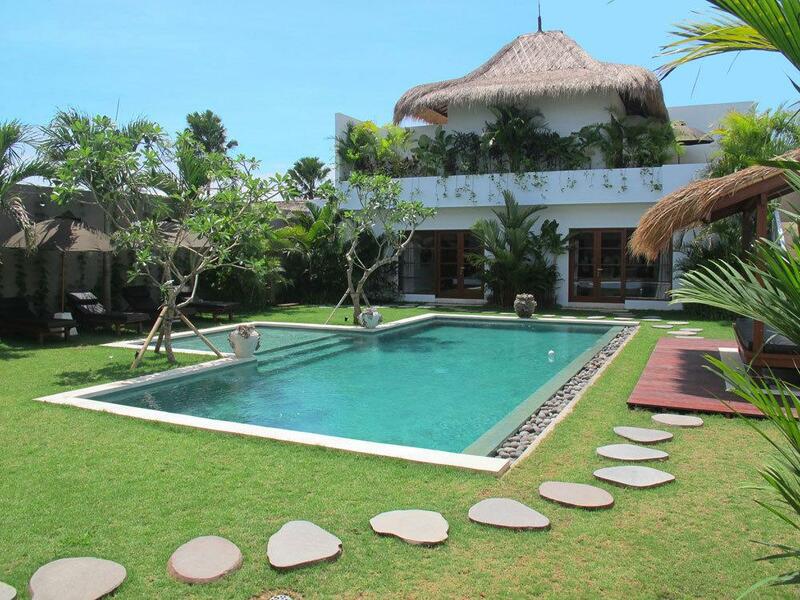 The villa is a true oasis, a haven of absolute luxury and serenity. 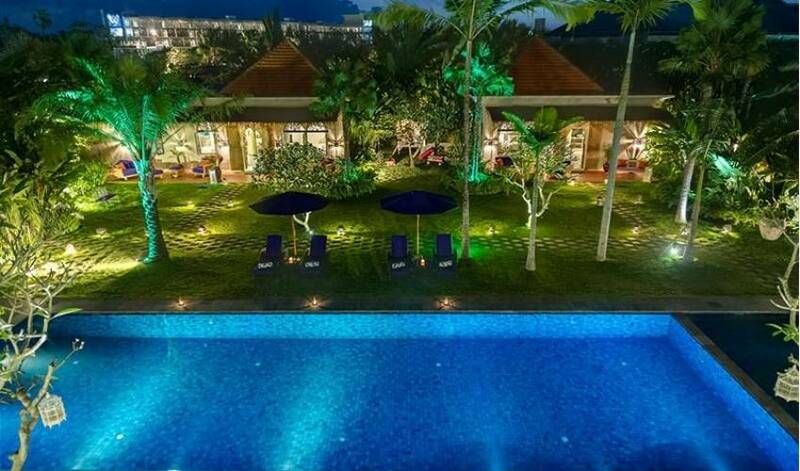 But a short walk along a discreet gang (lane) will bring you to the heart of buzzing Seminyak, home to world-class restaurants, happening bars, hip cafés and nightclubs. Delight in the variety of luxurious spas literally at your doorstep and the abundance of fabulous shops with everything from clothing to jewellery to home wares.